Class “B” flame protection for interior and exterior non-exposed surfaces. 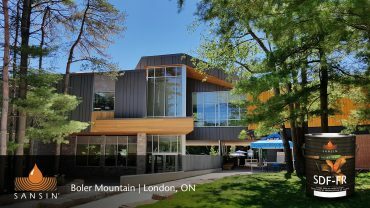 Available in standard and architectural custom colors. 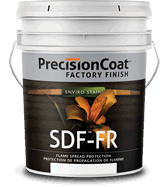 SDF FR is a fast-drying finish that forms an ignition barrier and reduces flame spread, available in clear or colored tones. Can be used for ceilings, walls and protected soffits. It has excellent adhesion properties and is spray-applied as part of a two-coat system.